Throughout 2019, we will be celebrating our 175th Anniversary with a number of initiatives that both reflect our rich history and look forward to the future of the veterinary profession. 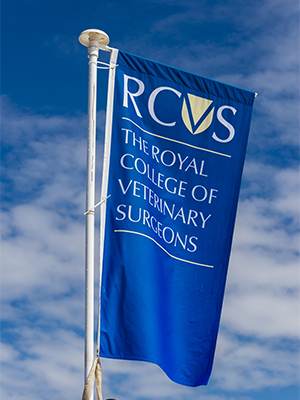 Today, 15 April 2019, marks the 175th anniversary of the first meeting of the RCVS Council, which was held after the RCVS was brought into being with its Royal Charter on 8 March 1844. The Charter was born from frustration with the quality of veterinary education delivered at the time and an identified need from qualified vets for reform. Two father and son veterinary surgeons from Staffordshire, Thomas Mayer and Thomas Walton Mayer, wrote a Petition addressed to the Governors of the Royal Veterinary College (RVC), which was then distributed to other veterinary professionals to sign. Over 250 veterinary surgeons sent back letters agreeing for their signatures to be added to this petition, which initiated the campaign for a Charter to create the Royal College of Veterinary Surgeons. “This first Royal Charter recognised the ‘veterinary art’ as a profession, established RCVS Council with elected members, and gave the College power to administer examinations, which students of the then veterinary colleges in London and Edinburgh had to pass if they wished to be styled veterinary surgeons and have the privileges of members of a profession,” says Lizzie Lockett, RCVS CEO. This year, to commemorate this significant anniversary, we will be undertaking three key initiatives. The first will be to digitise and show-case the original petition letters from practitioners that drove the Charter and writing to 175 practices in the same vicinities to seek their views on the future of the profession 175 years on. This feedback will then inform our upcoming strategic plan. We will also be publishing an interactive digital timeline of key events for the veterinary profession over the past 175 years. Finally, we plan to commence a longitudinal research project that selects a cohort of UK veterinary students to follow over the next 25 years to better understand initial hopes and aspirations and their subsequent career choices and paths. More information on the 175th Anniversary can be found on our 175 page, which will be regularly updated as the projects develop.